Frankenstein turned ballerina… he is NOT happy. So much for my horror ‘dash’ science fiction take on a classic monster. Somehow I ended up with a Boris Karloff inspired Frankenstein in Lycra and a ballerina costume. The humor makes up for the lack of horror I reckon. This is my lead character design for the low frequency character design project we’re working on with Danny Williams. See model sheet below. 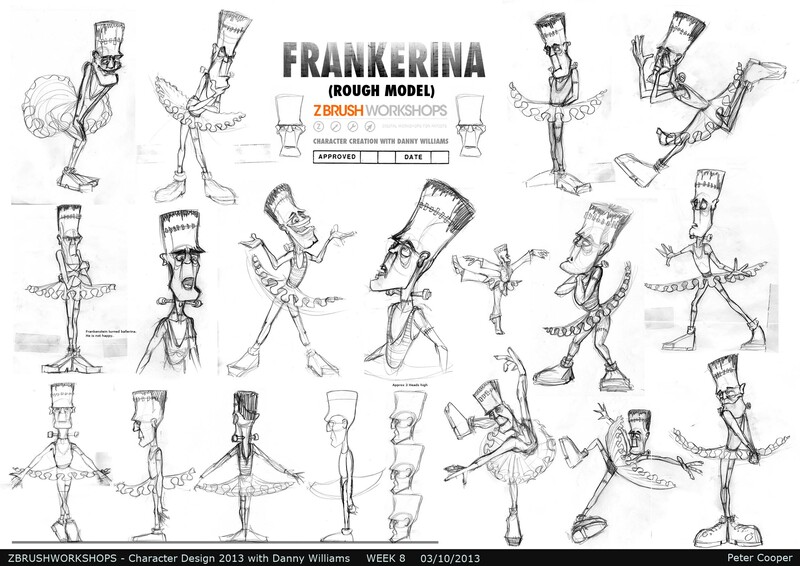 Rough Model Sheet for Frankerina.